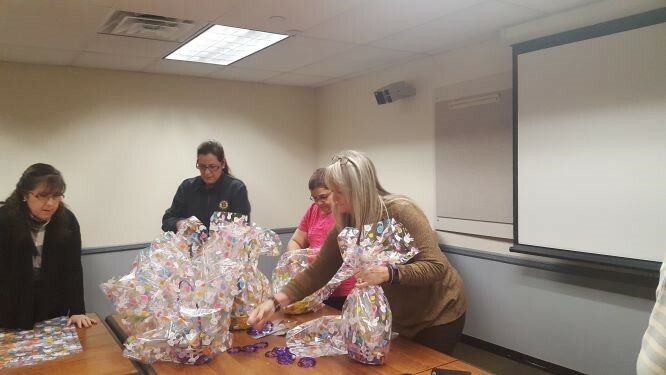 Liberty Garden Pioneers answered the call when our partners from the Morristown Salvation Army asked if the club could provide 96 Easter Baskets for the children that attend their day care facility. 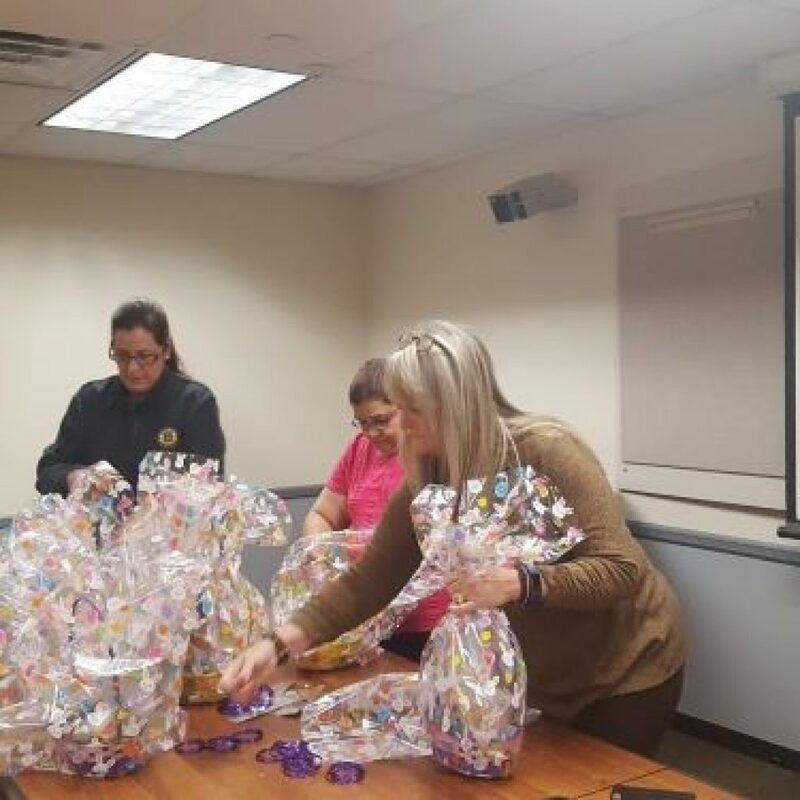 Materials for the Easter baskets were purchased by the Liberty Garden Pioneers who then held a packing party hosted during lunch at the Bedminster, NJ complex on March 20. 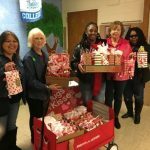 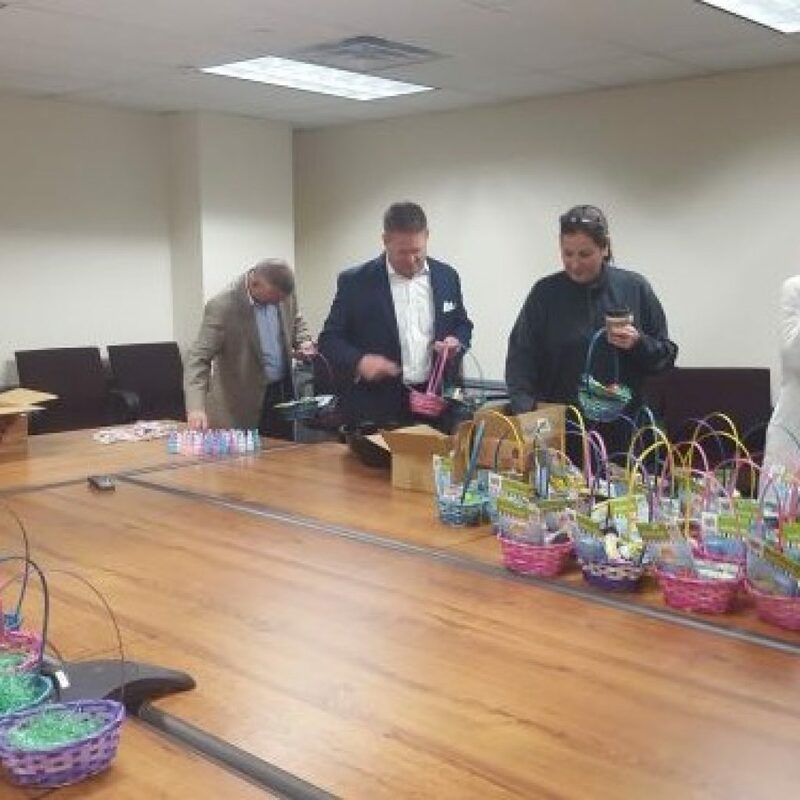 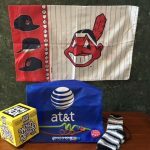 Twenty-five volunteers packed baskets with colorful grass, chocolate eggs, candy, bubbles, coloring books and crayons – wrapping them in clear plastic with ribbon. 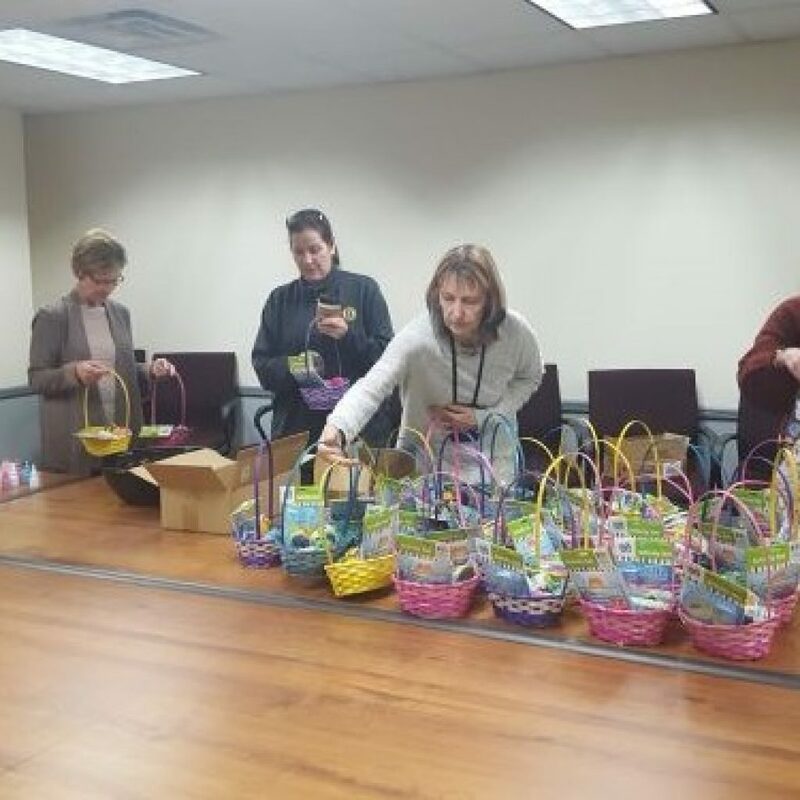 One hundred baskets (100) were delivered that afternoon!